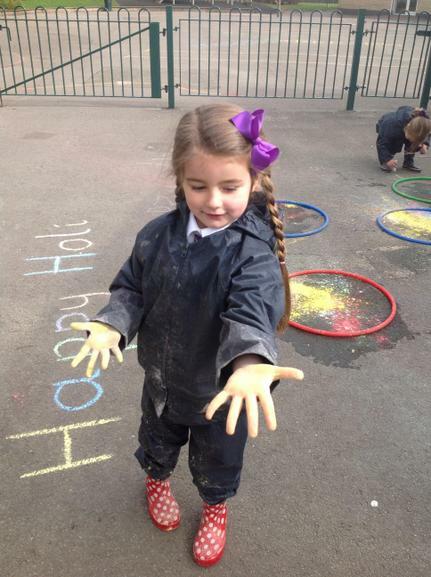 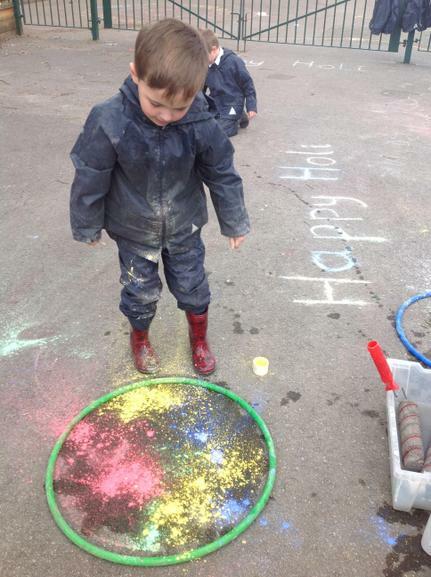 Holi, the Hindu festival of COLOUR, began this week. 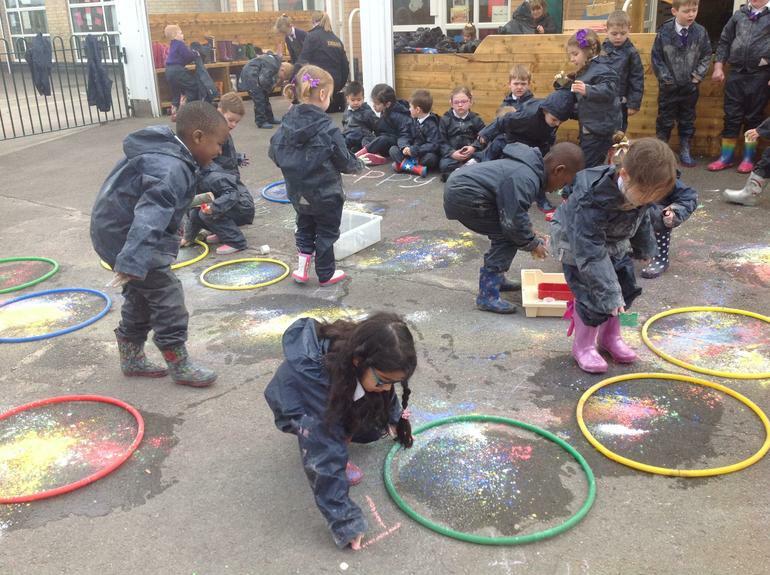 We researched about this exciting festival on the internet. 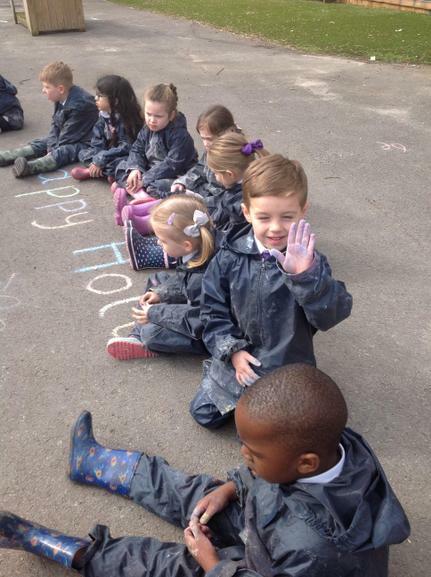 It was fun to find out how different cultures celebrate the beginning of Spring time, so we joined in with some of the traditions too! 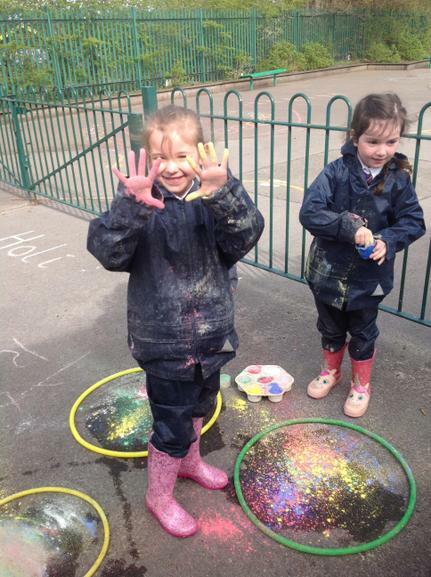 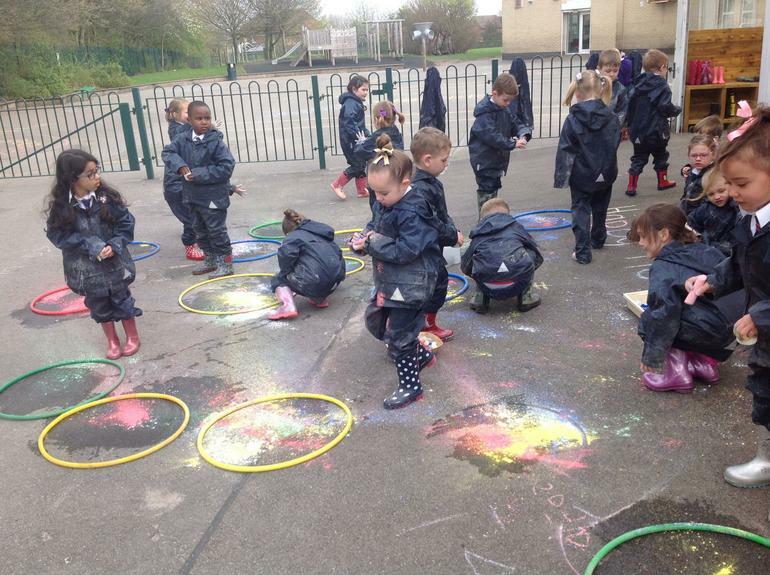 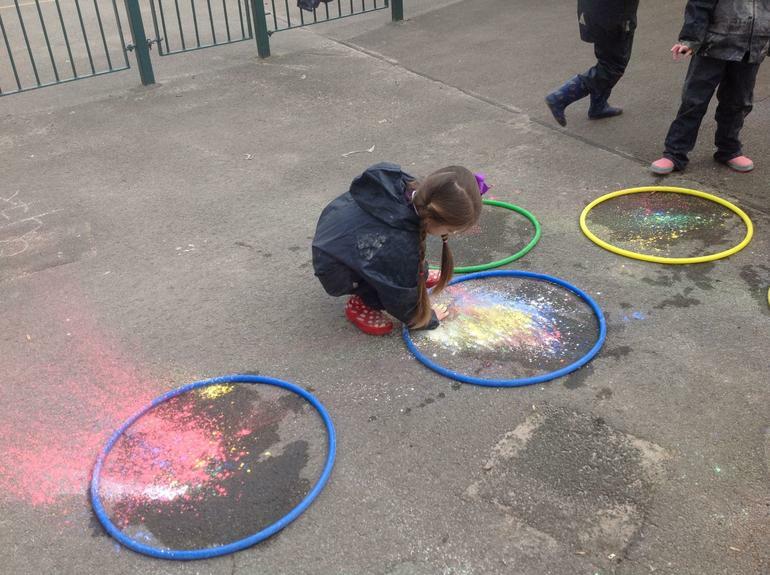 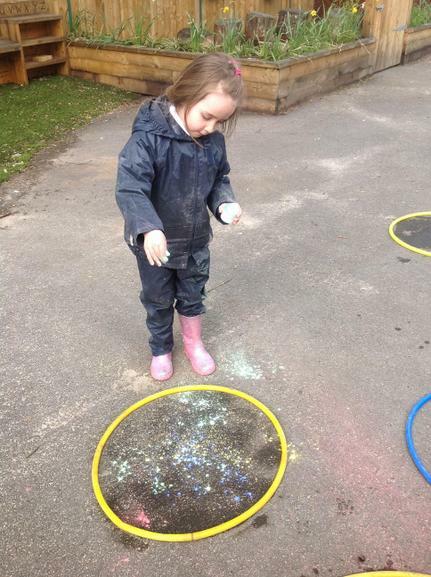 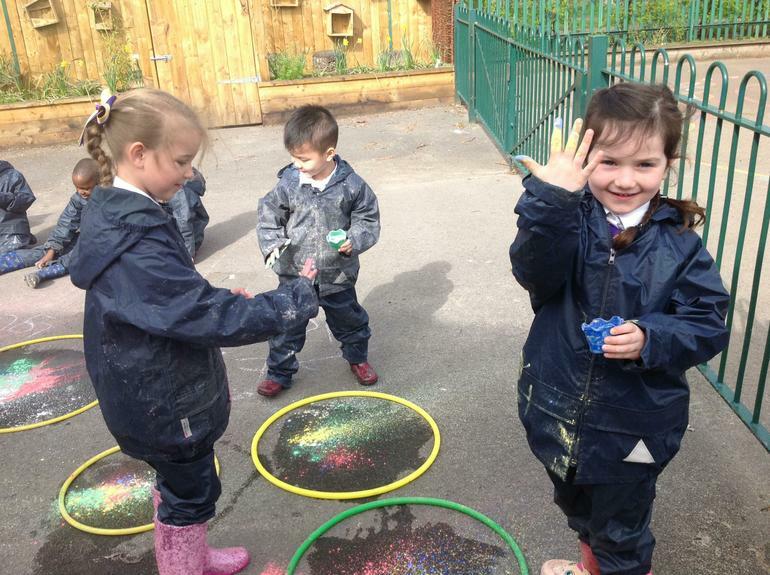 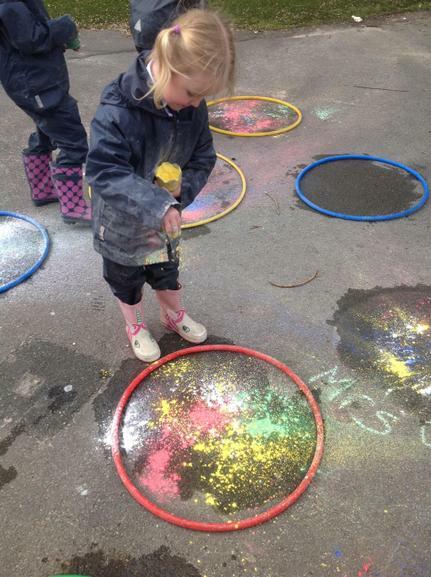 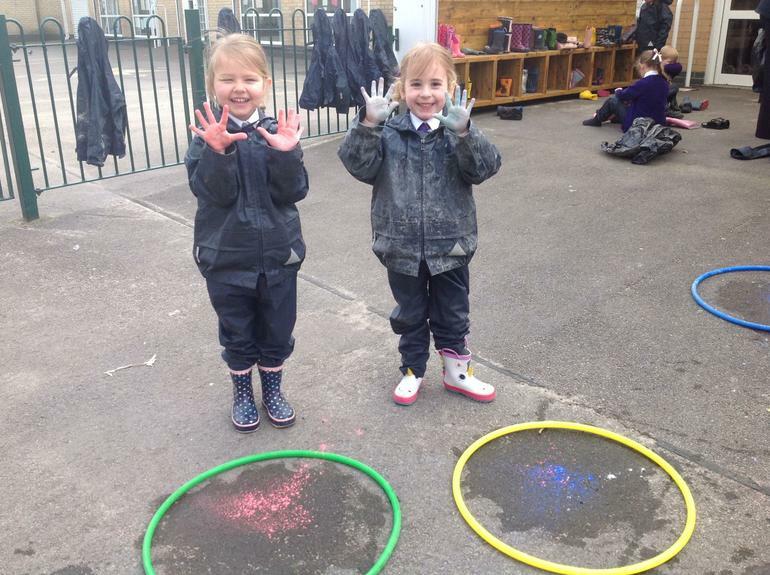 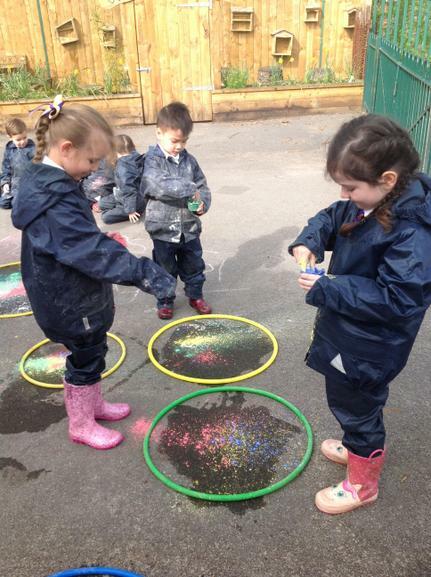 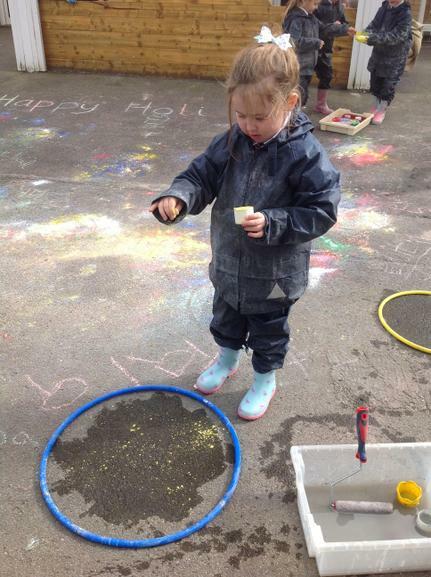 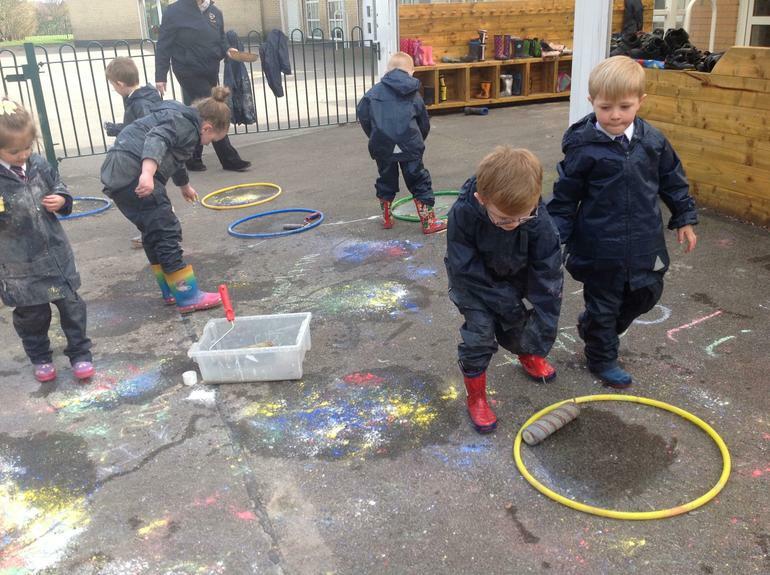 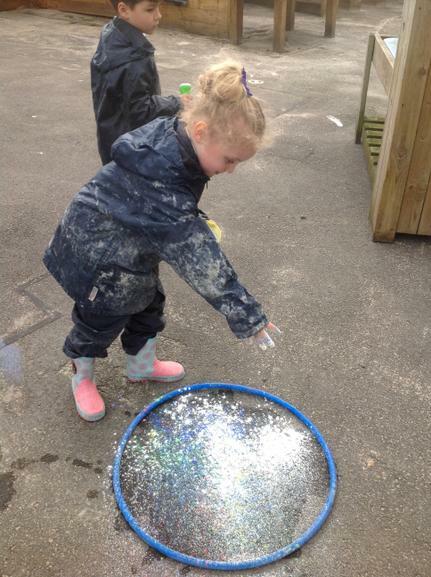 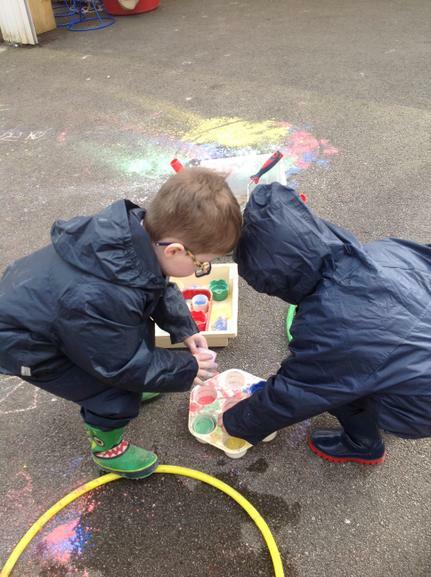 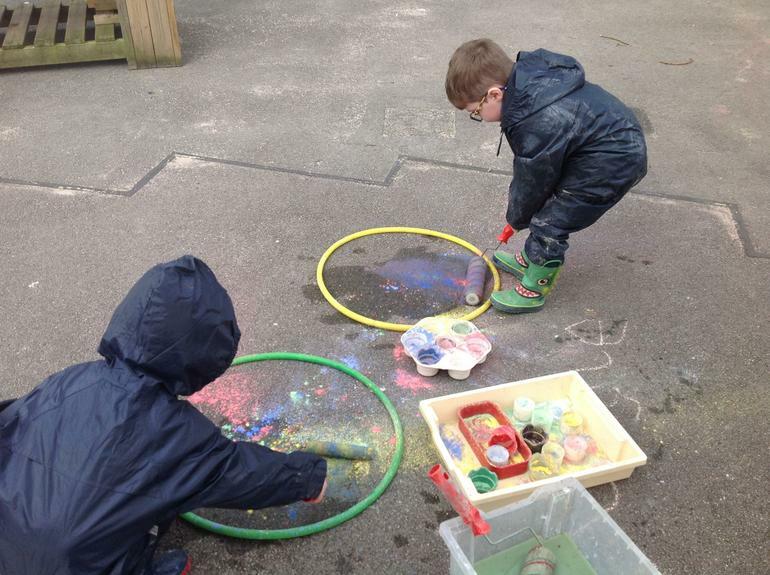 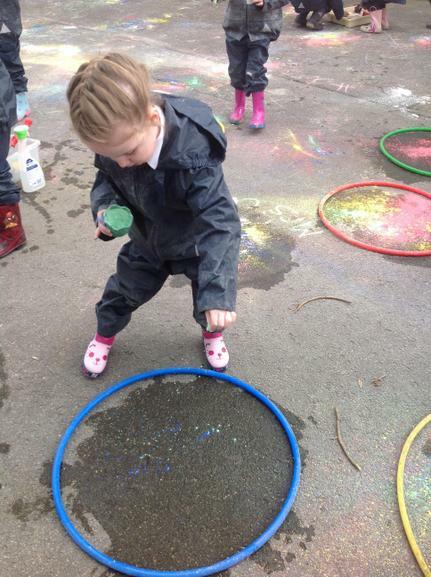 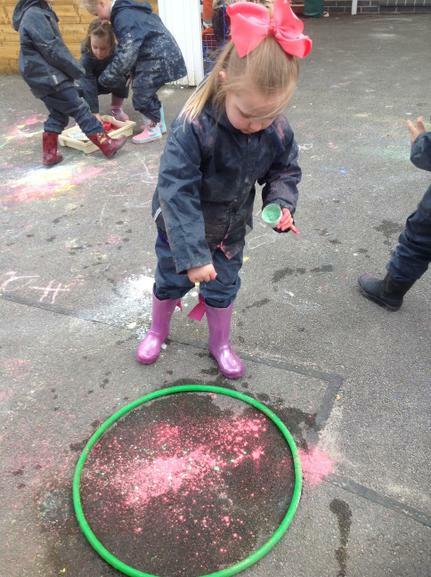 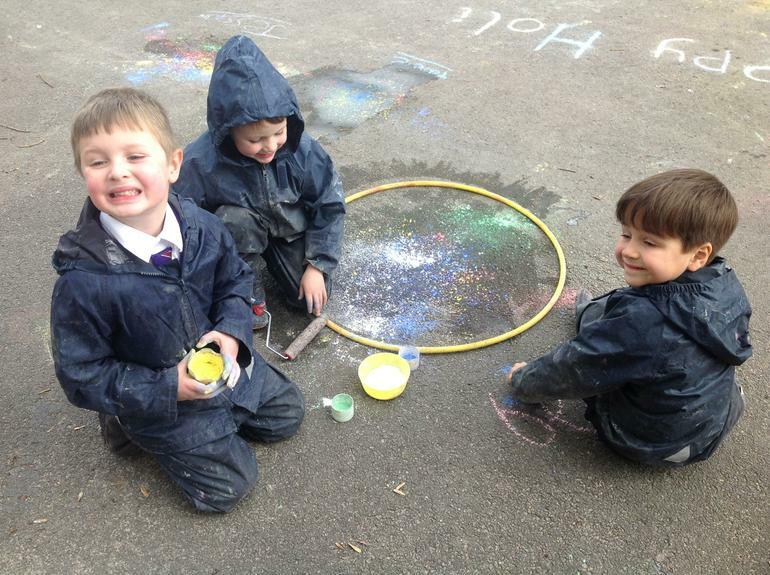 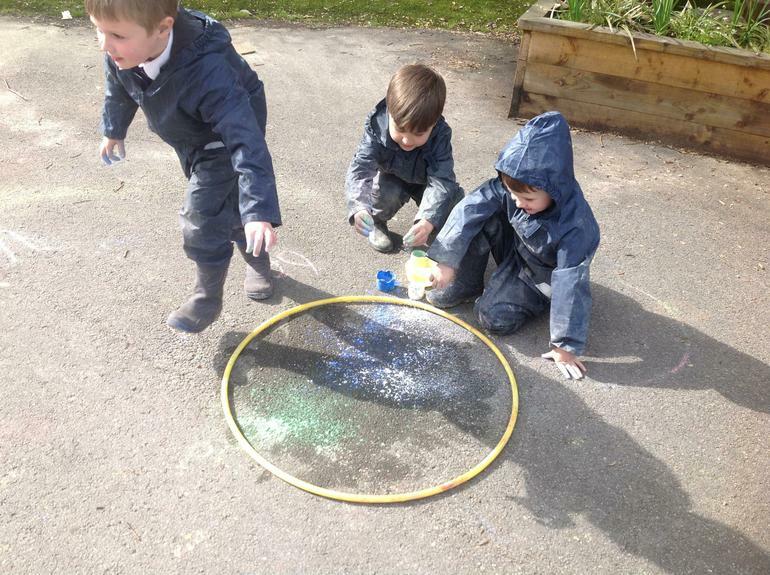 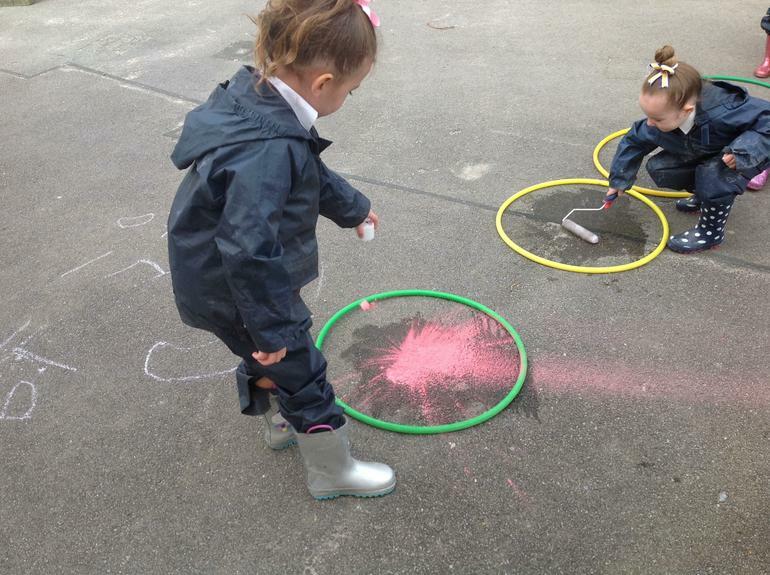 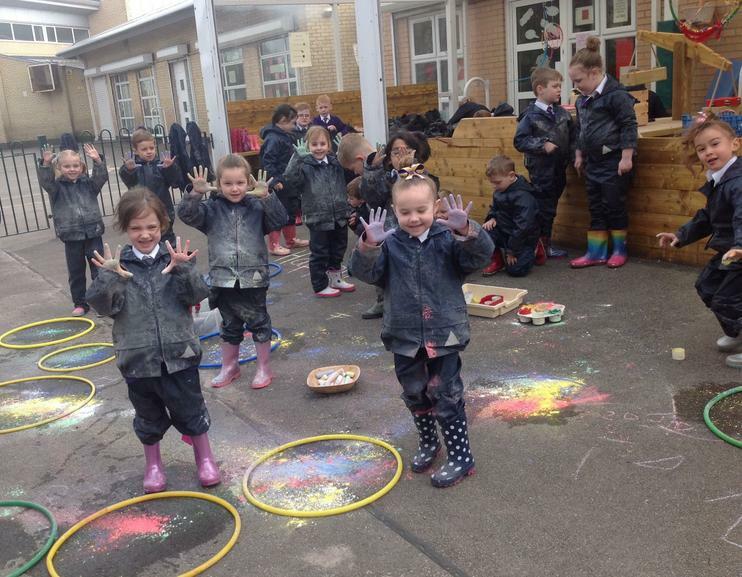 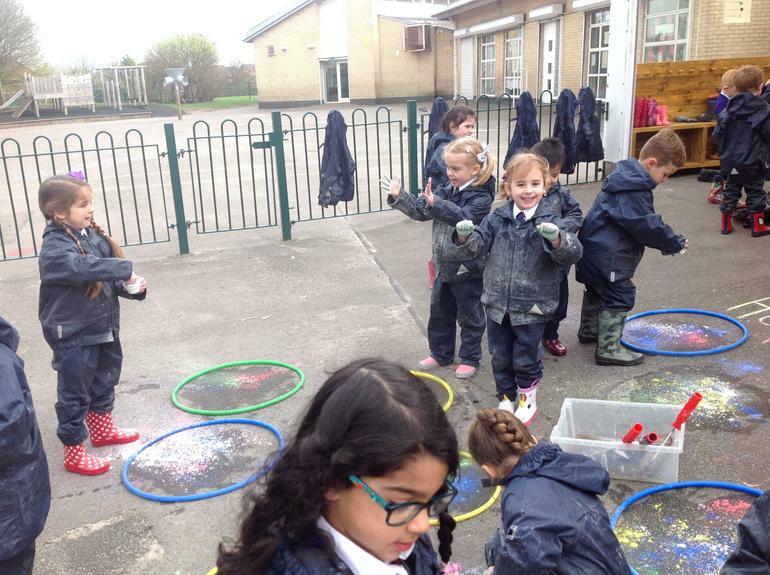 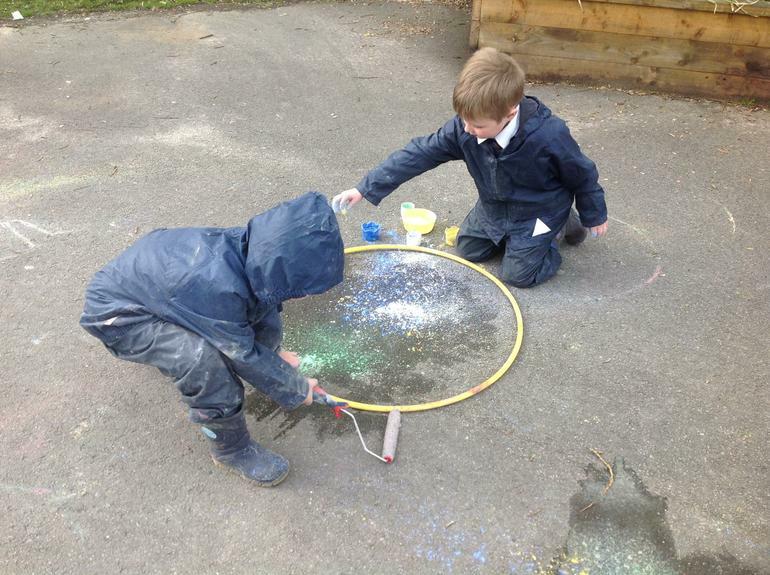 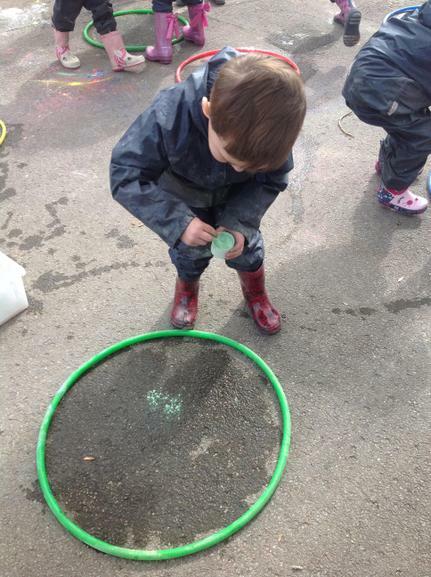 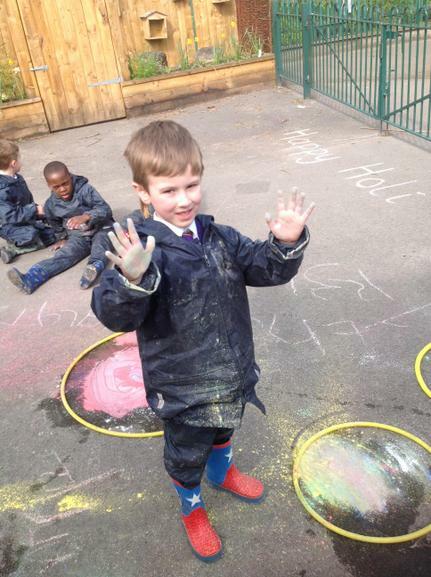 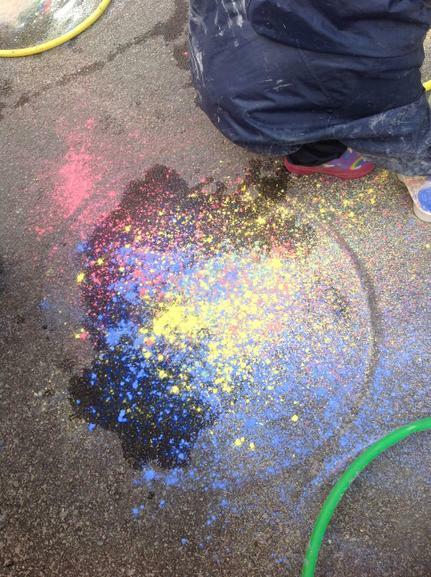 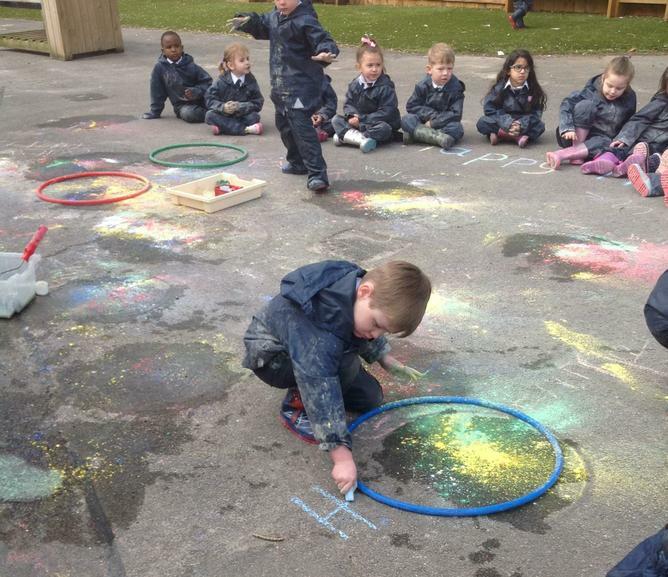 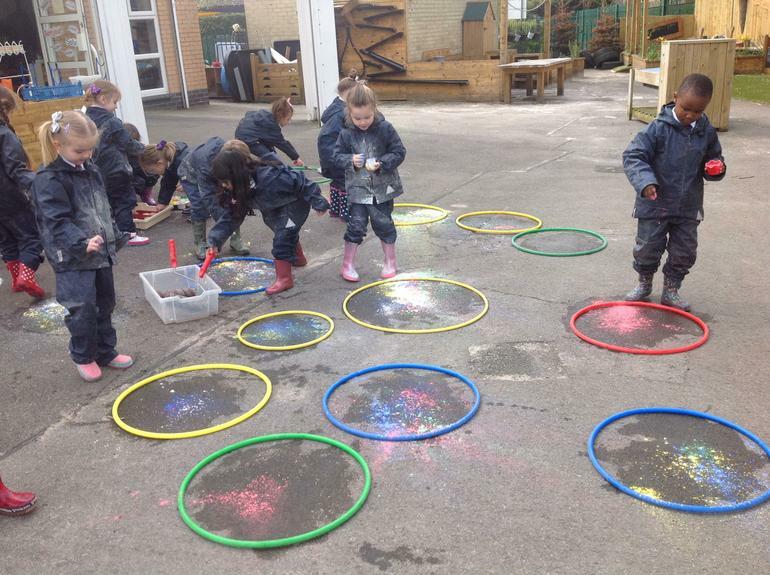 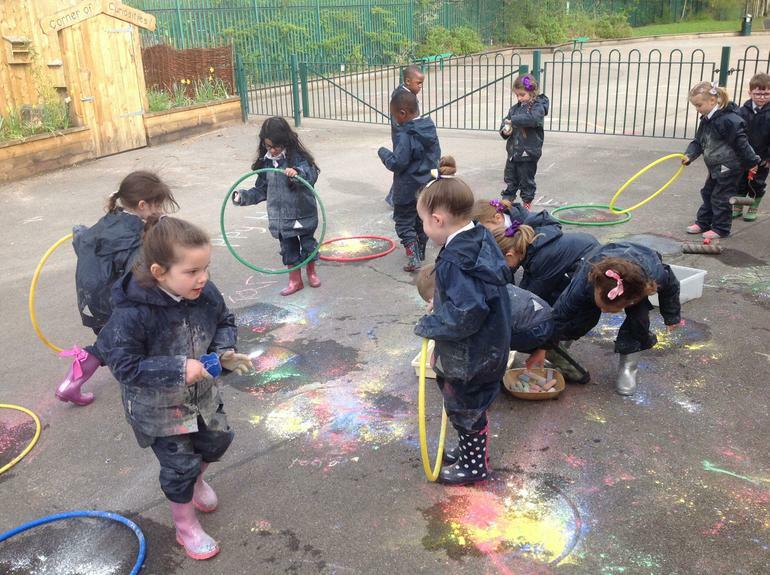 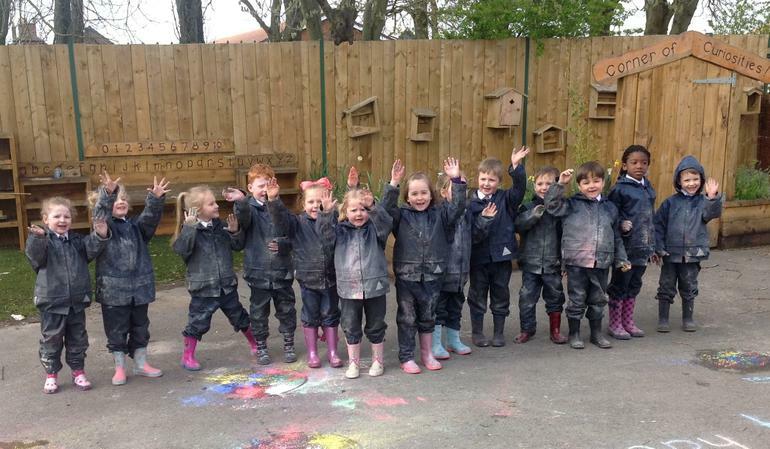 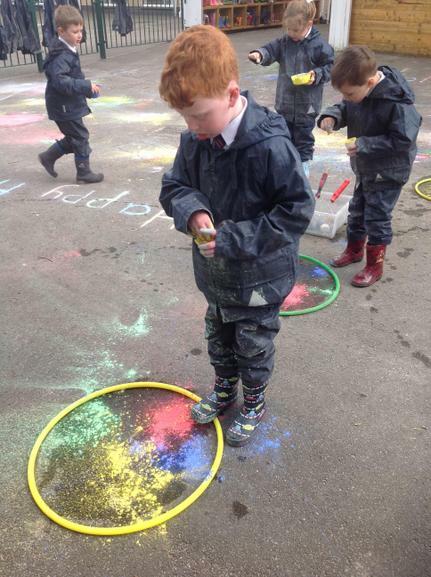 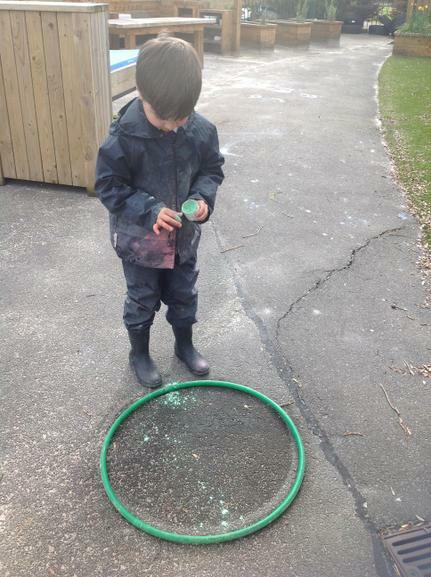 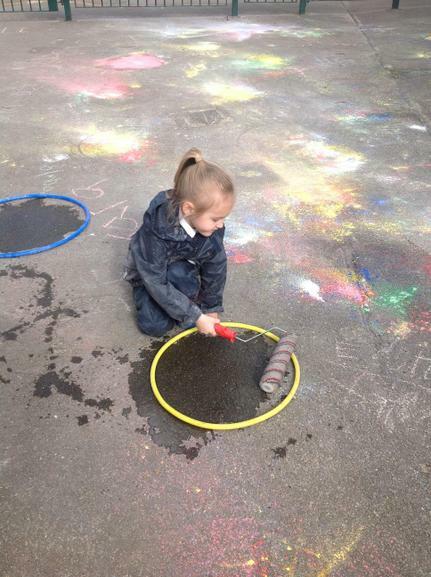 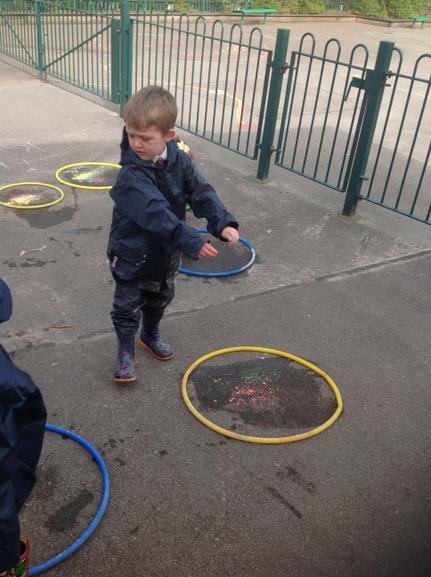 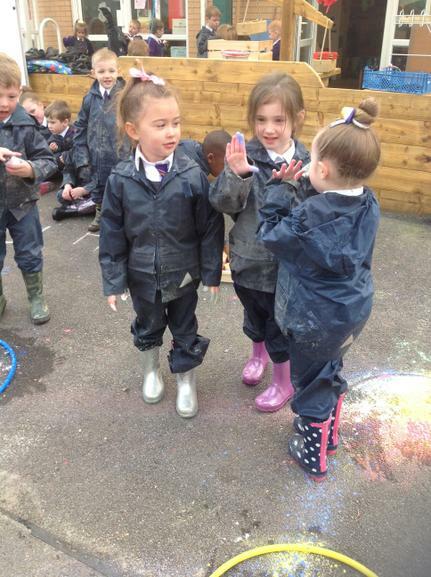 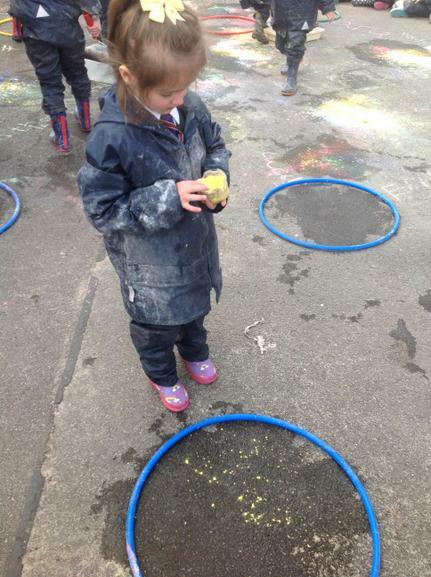 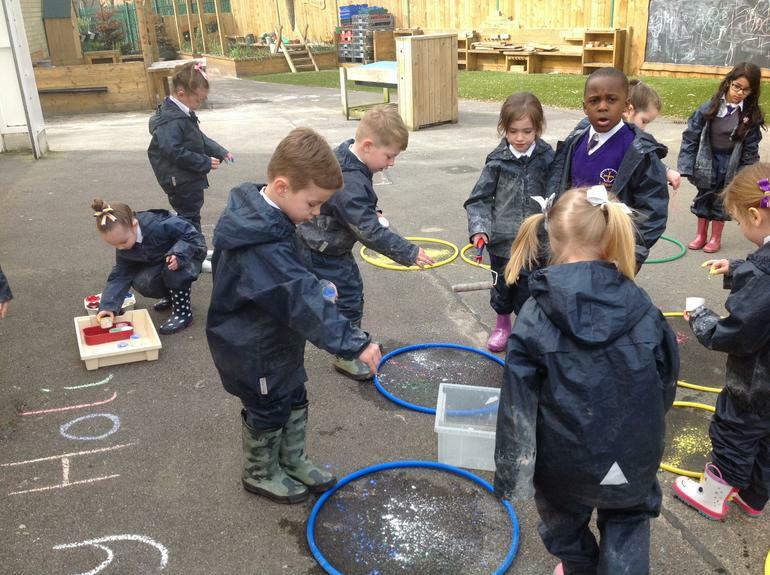 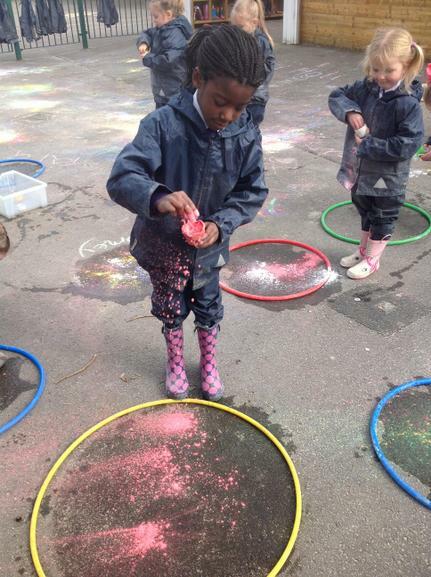 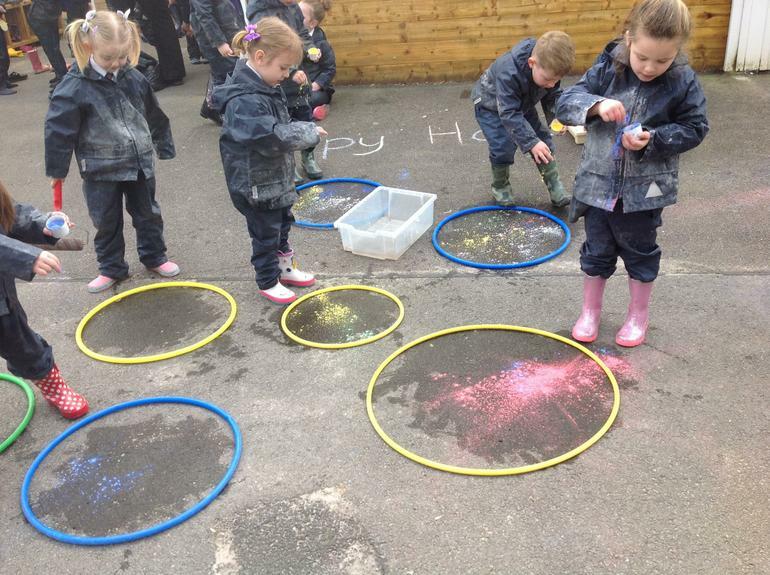 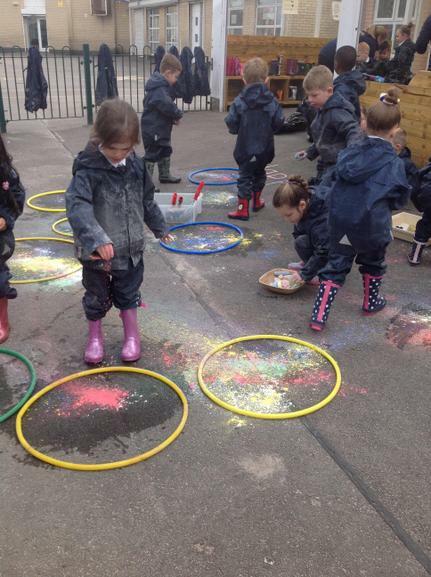 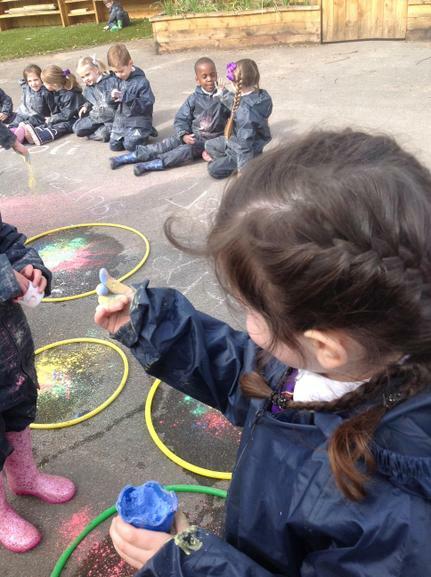 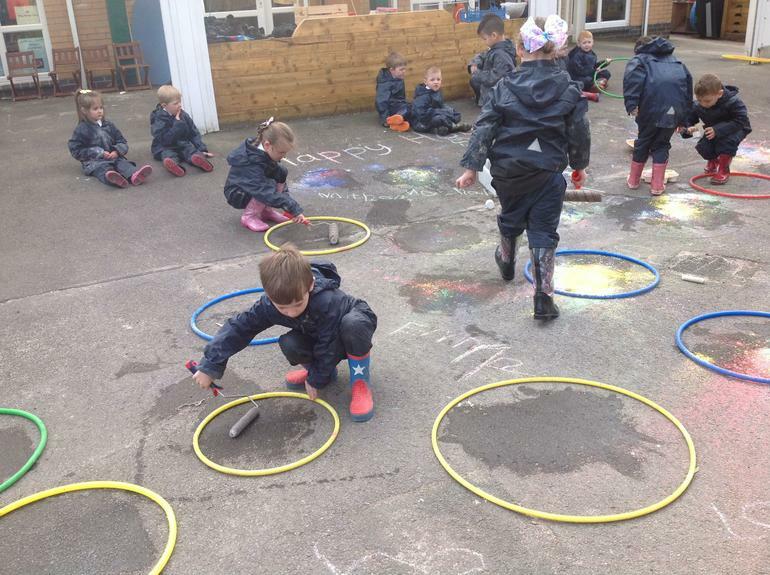 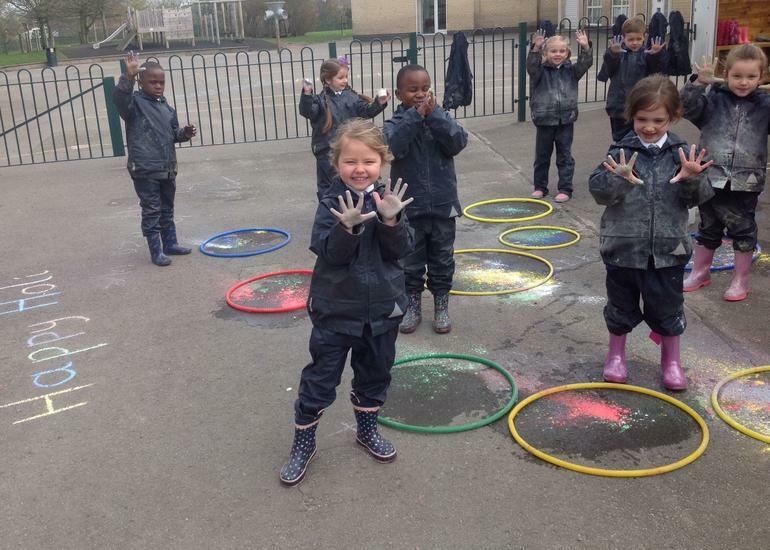 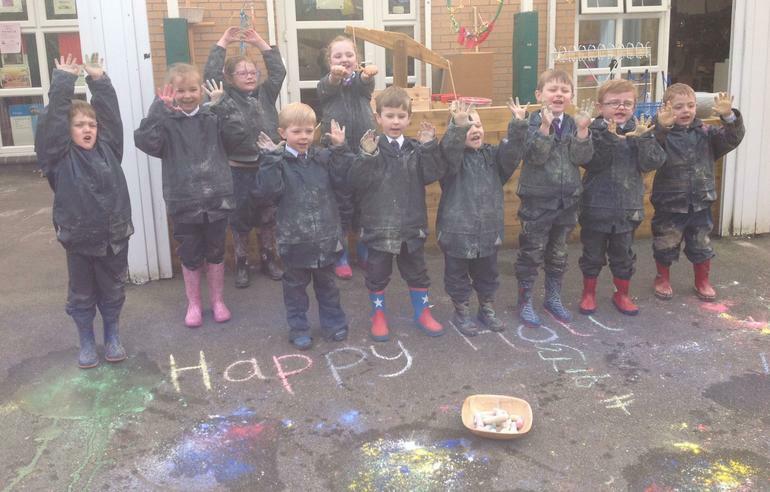 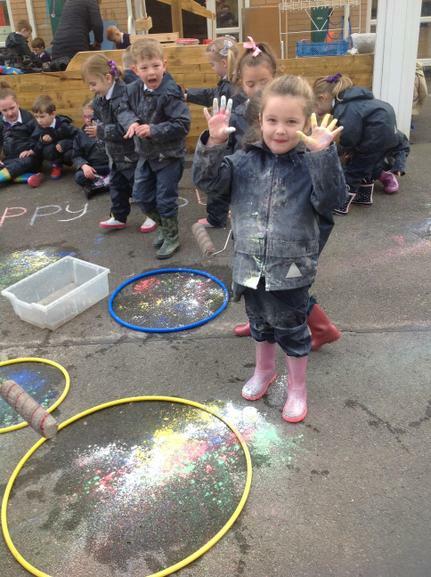 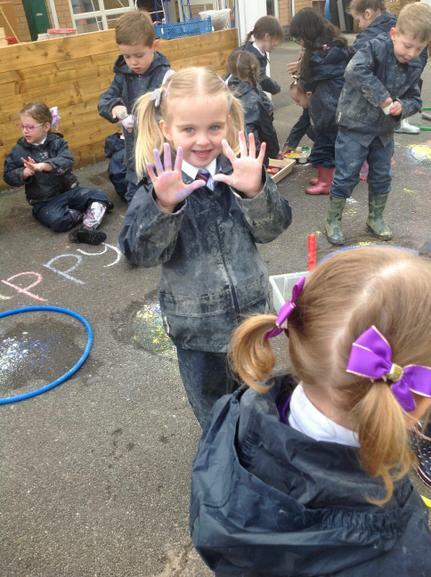 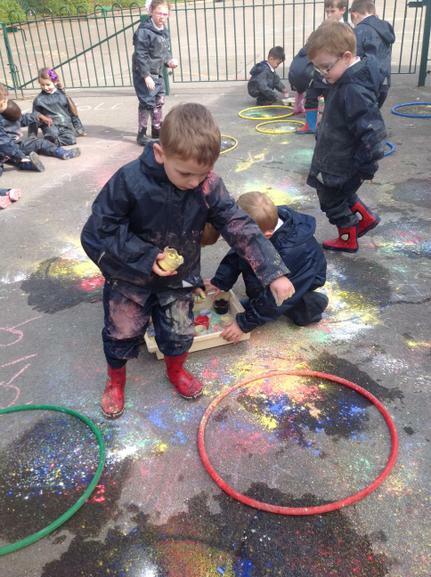 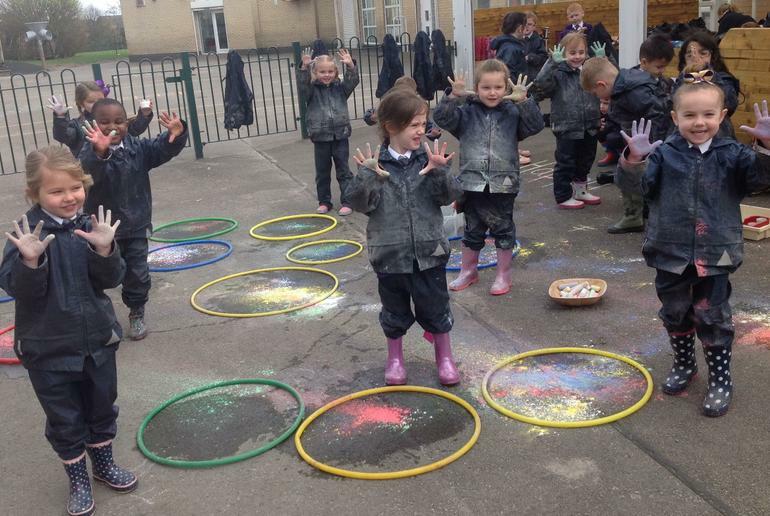 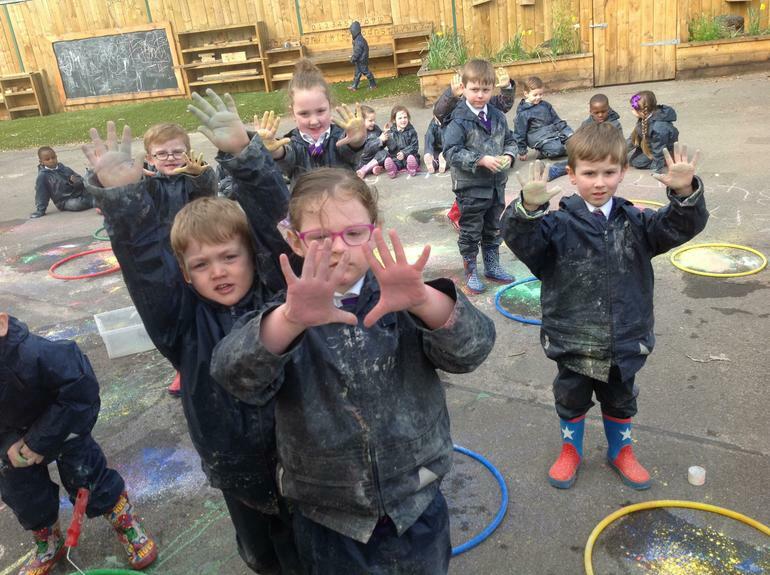 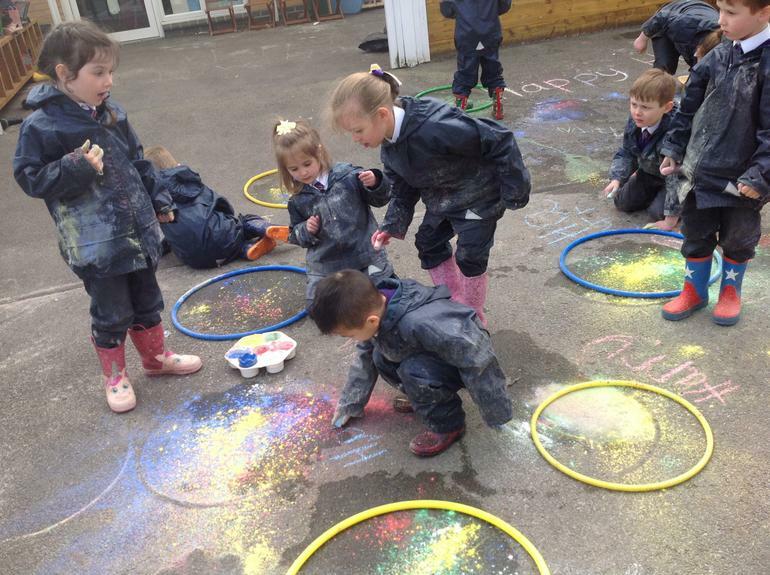 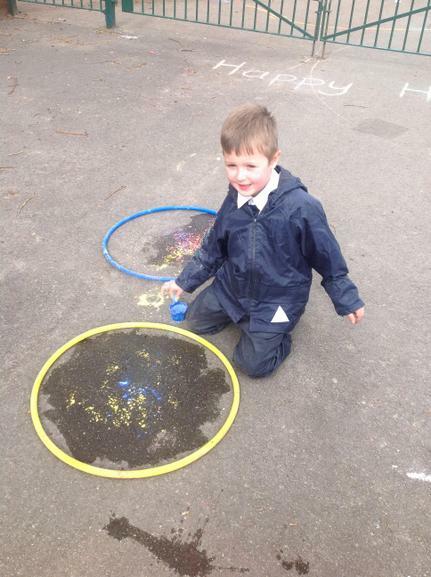 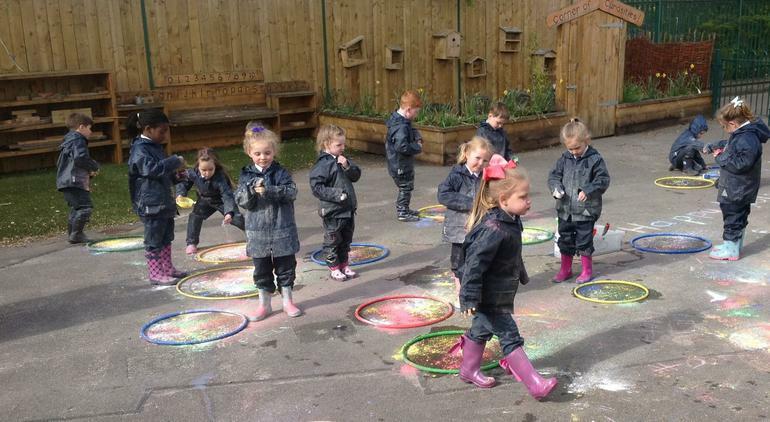 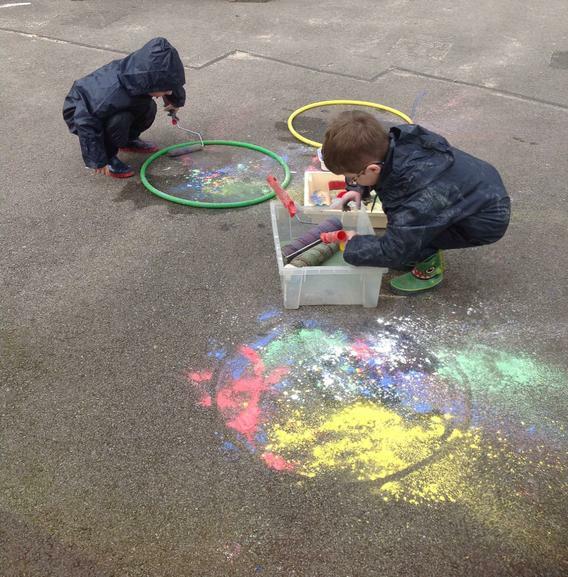 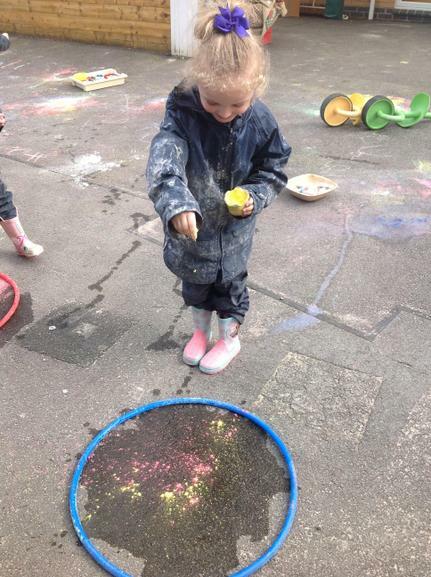 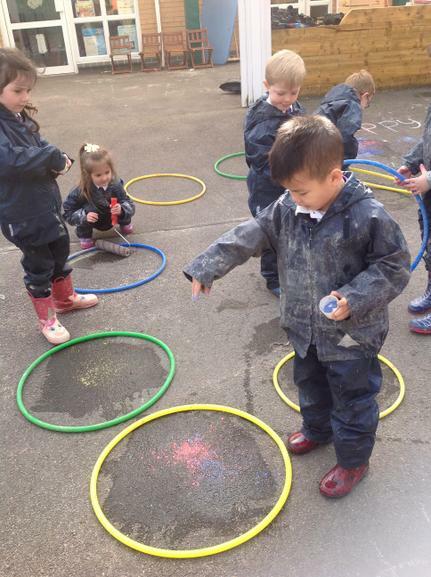 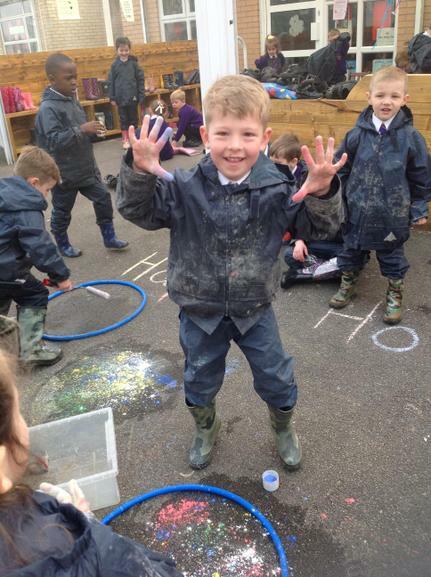 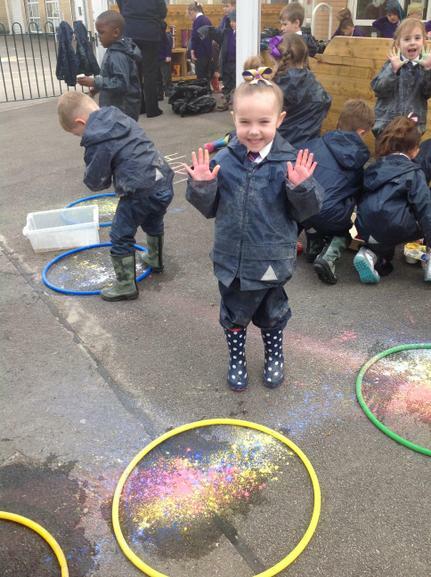 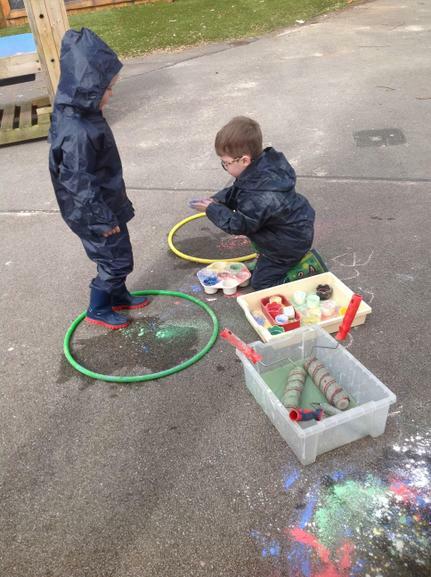 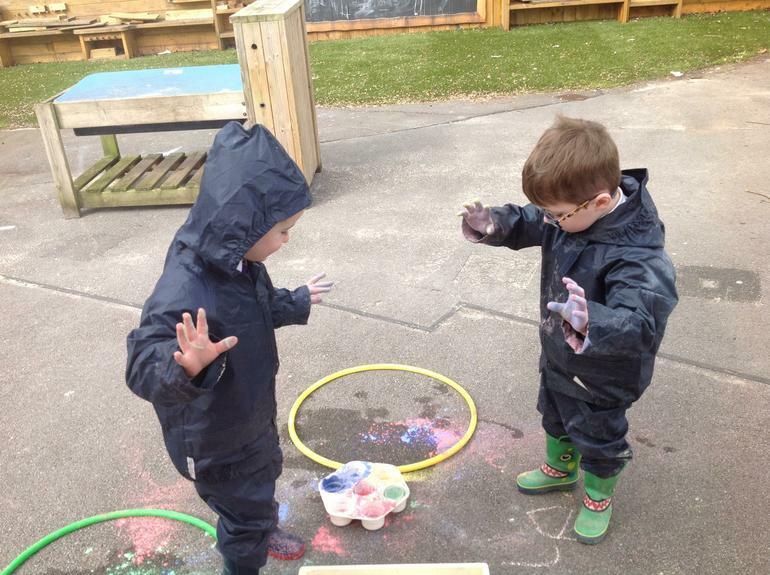 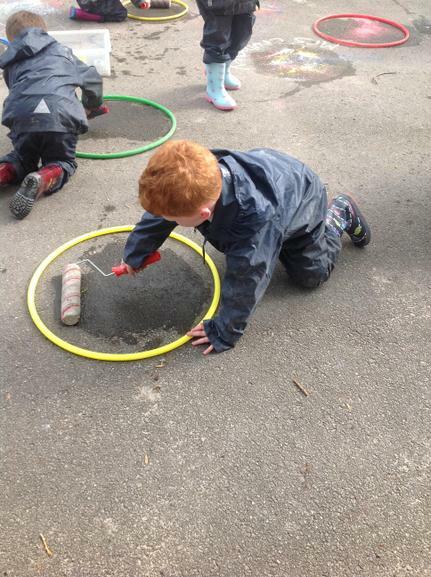 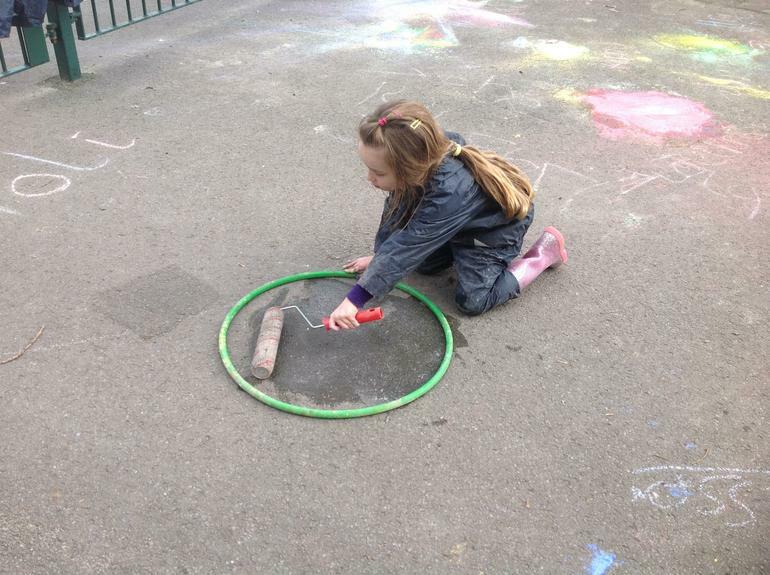 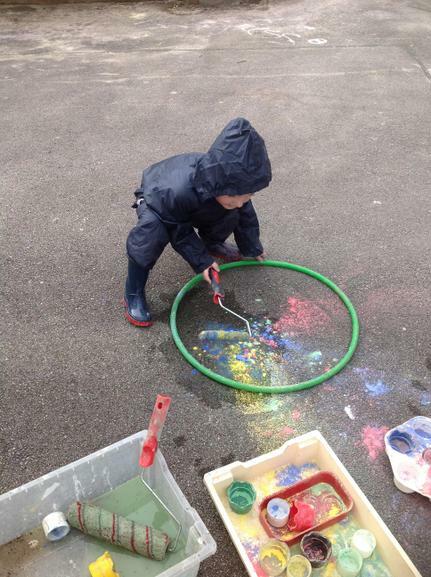 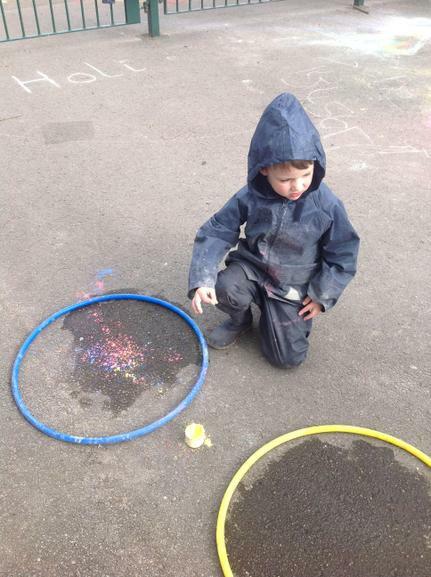 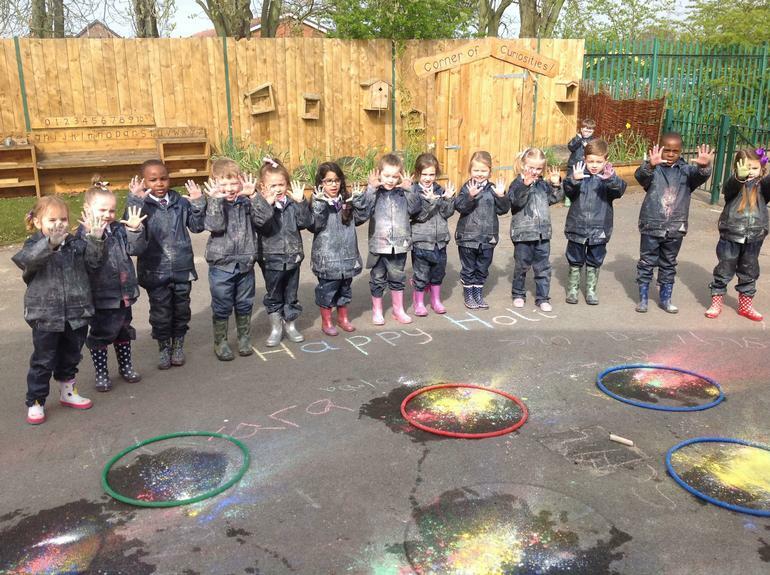 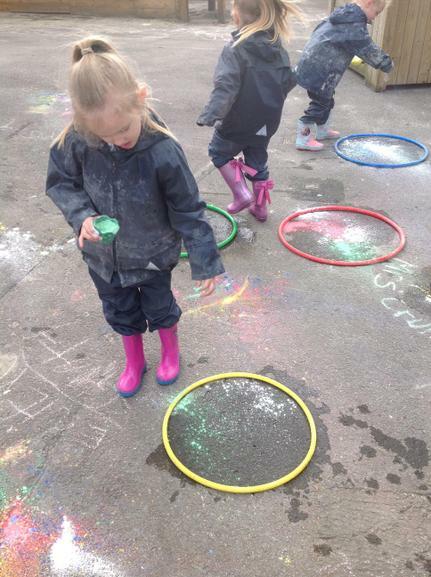 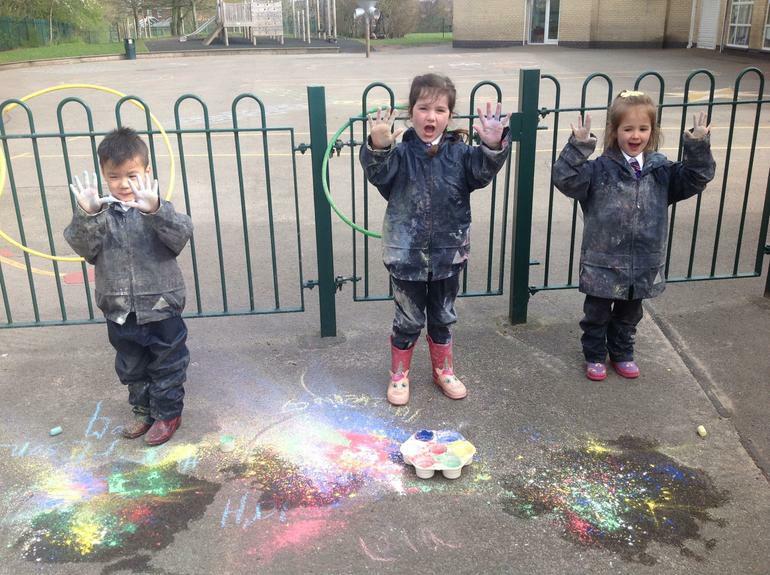 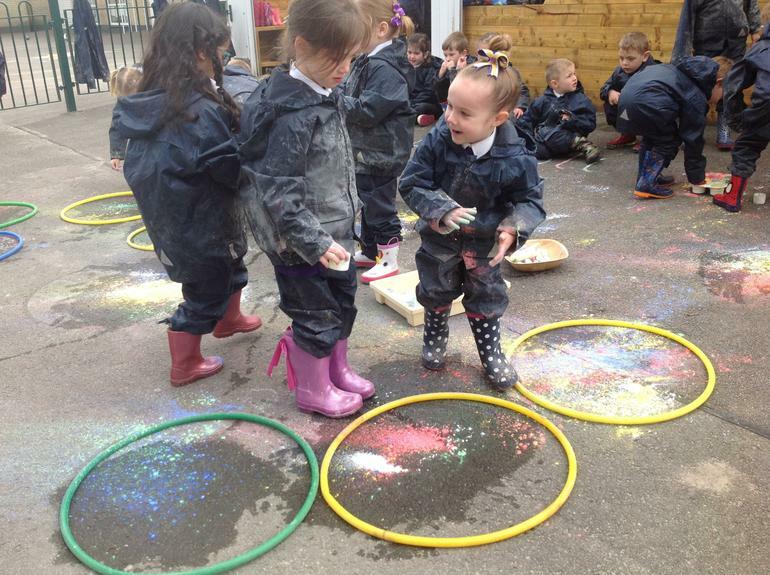 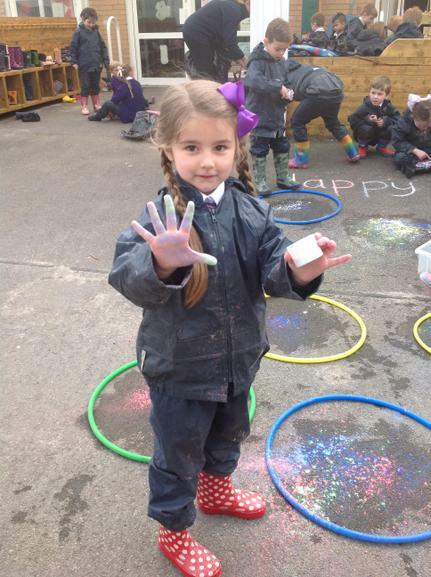 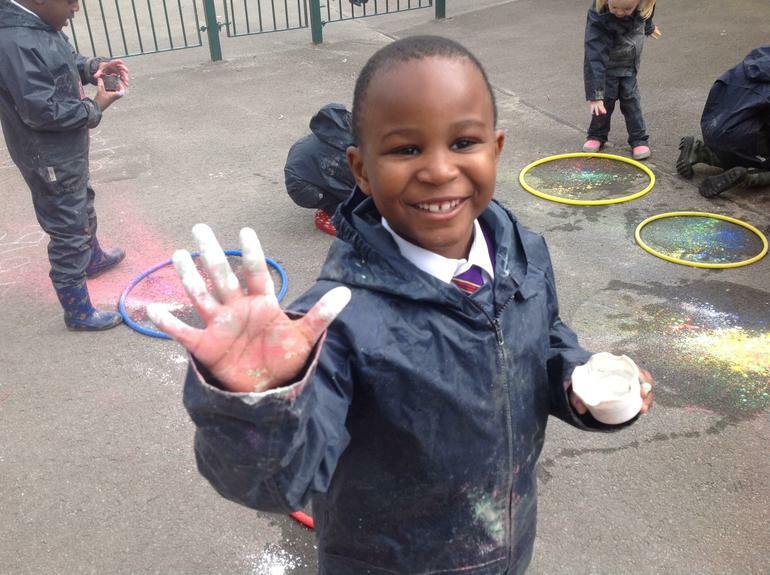 Splattering colourful powder paint was messy but lots of FUN!